While we’ll soon be inundated with white wines from the 2016 vintage, Spioenkop has just released the 2013 vintage of its alternative label 1900 Chenin Blanc and it’s drinking nicely. A blend of 55% Elgin and 45% Bottelary grapes, it was matured for 11 months on the lees, a third in new oak, a third in older oak and a third in tank. The nose shows peach, apricot and an intriguing, presumably botrytis-derived mushroom-like quality. On the palate, there’s good fruit concentration and tangy acidity before a gently savoury finish. 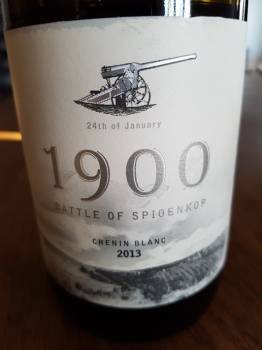 Approximate retail price: R125 a bottle.